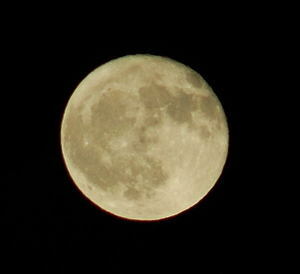 I took this picture of the moon tonight with my Nikon D50 camera. I don't really know what I'm doing yet. I'm interested in learning how to take photos of the moon. I'm surprised at the level of detail I can get with my 70-300mm lens.